Ships and other offshore marine applications rely on battery-backed DC power to drive critical systems, including communications, fire suppression, electrical switchgear and more. 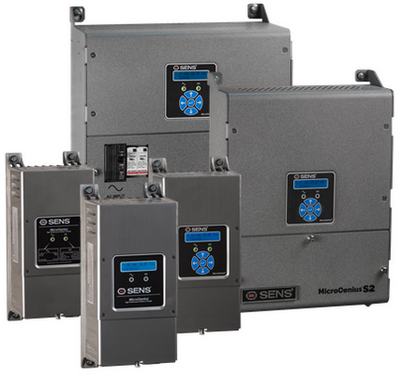 Reliable SENS MicroGenius 2, S2 and S4 switch-mode and EnerGenius IQ SCR battery chargers are type approved by the American Bureau of Shipping (ABS) for providing clean stable DC power for continuous loads in marine and offshore applications. All ABS-approved SENS chargers offer extreme charging precision, industry-leading warranty and superb reliability. Industry-leading dependability: SENS chargers in the field have demonstrated observed mean time between failure (MTBF) ranging from 500,000 hours to well over a million hours, leading the industry for reliability. SENS’ dedicated employees, award-winning designs and the most advanced Lean Production System in the industry maintain this high performance year after year. Best, highest precision charging: With patented and patent pending technologies, SENS chargers deliver fast charging without the risk of battery damage. With advanced microprocessor and digital signal processing control, the MicroGenius 2 charging system is the most precise in the industry. Most battery suppliers agree that charging accuracy is the most important factor in the battery achieving its rated performance and life. Proven abuse resistance: Extreme temperatures, electrical transients, high humidity, dirt, vibration and user abuse are the enemies of electrical products. SENS takes every practical countermeasure during design and manufacturing to defend against real-world abuse. Development testing includes running chargers at temperature extremes and subjecting them to shock and vibration testing that is typically two or more times harsher than that used by most competitors. Long life, reliable output: All chargers are guaranteed to deliver full current to ambient temperatures beyond 400 C. Convection cooling eliminates premature charger breakdown caused by both fan failures and fan-ingested contamination.